It took 16 minutes on Sept. 11, 2001 to call into question more than 30 years of conventional wisdom. In those 16 minutes before the second tower at the World Trade Center was struck, nearly 3,000 occupants were able to evacuate the building because they used the elevators. For decades, of course, plaques posted in elevator lobbies urged occupants to use the stairs during a fire. Now that message is about to change. In September, the International Code Council (ICC) voted to require occupant evacuation elevators for high-rise buildings more than 420 feet high in the 2009 version of the International Building Codes (IBC). Separately, the National Fire Protection Association (NFPA) approved changes to NFPA 101 life safety code that define how occupant evacuation elevators should be designed. ICC made occupant evacuation elevators optional for shorter buildings. (See Part 3 for more on code changes aimed at making high-rise buildings safer.) Both code bodies also approved changes to create special hardened elevators for firefighters to use. The changes mark the end of prolonged study on the World Trade Center collapse, which put a spotlight on the role of elevators in high-rise buildings. A report commissioned by the National Institute of Standards and Technology (NIST) after the collapse indicated that the rate of evacuation for the second tower was 50 percent faster than WTC1. The typical office tower often includes workers who have limited mobility. Occupants who are pregnant or have a sprained ankle not only have a difficult time making it down exit stairwells, but they also impede the movement of others. Evacuation elevators make it easier for mobility-impaired occupants to evacuate a building, and make it faster for those who need to use the stairwells to evacuate by speeding the overall flow, experts say. Other requirements for high-rise buildings under the 2009 IBC vary depending on building height. For example, buildings taller than 75 feet are required to have an elevator large enough to accommodate a stretcher. Buildings taller than 120 feet are required to have a special fire service elevator. Under the new code, buildings taller than 420 feet need to have either a third stairwell or occupant evacuation elevators. 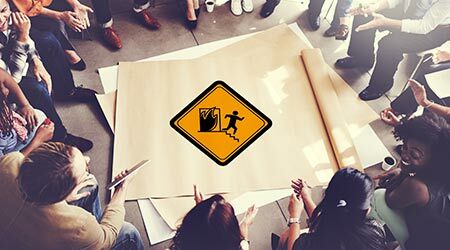 Because occupant evacuation elevators aren’t required for midsize high-rises and because many of the tallest high-rises are being built outside North America, occupant evacuation elevators will likely be optional for many facility executives. “What the codes do is say, if you choose to do this, this is how it should be done,” says Richard Bukowski, coordinator, codes and standards for NIST. Though occupant evacuation elevators are now part of the IBC, change is going to trickle down. To begin, the code must be adopted by local jurisdictions before it can be effective, a process that can take several years. What’s more, because most new high-rise buildings in the U.S. are modest in size, and because the IBC provisions are voluntary for buildings less than 420 feet, most new buildings won’t have evacuation elevators. Finally, NFPA’s provisions are also voluntary.